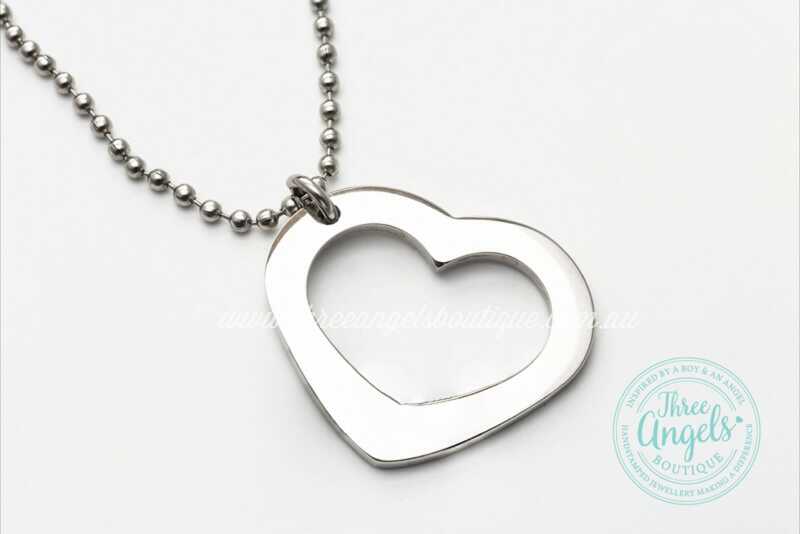 Part of my luxury range created using a large silver coloured 35mm x 30mm heart outine pendent; which can also be custom hand stamped with up to 4 names. 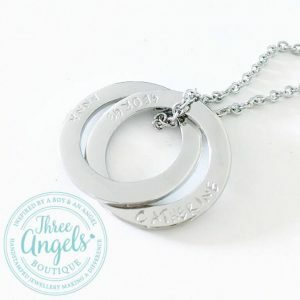 Names/words of your choice is carefully hand stamped in with a hammer, one letter at a time. My inking process involves triple inking with a special professional grade pigment that is durable and long lasting, and polishing between each ink layer. Pendent measures 35mm x 30mm in diameter, with a luxuary 2.5mm thickness. 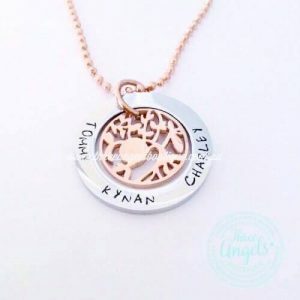 You have the option to custom BOTH sides of the pendent if you wish for an additional fee – this means that you can have up to 8 names / words stamped; 4 on each side. Price listed is for FOUR names. Up to 4 names can fit comfortable. If you wish to have more names on the one side, please contact for a full custom to ensure it will fit. PIece will be stamped using Scarlett’s Signature 2.5mm upper case font style. 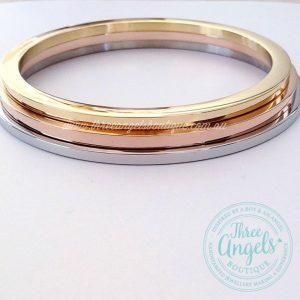 Also available in colours gold and rose gold. Includes silver colour cable chain measuring 51cm.